Use your touchscreen through the curtain itself! 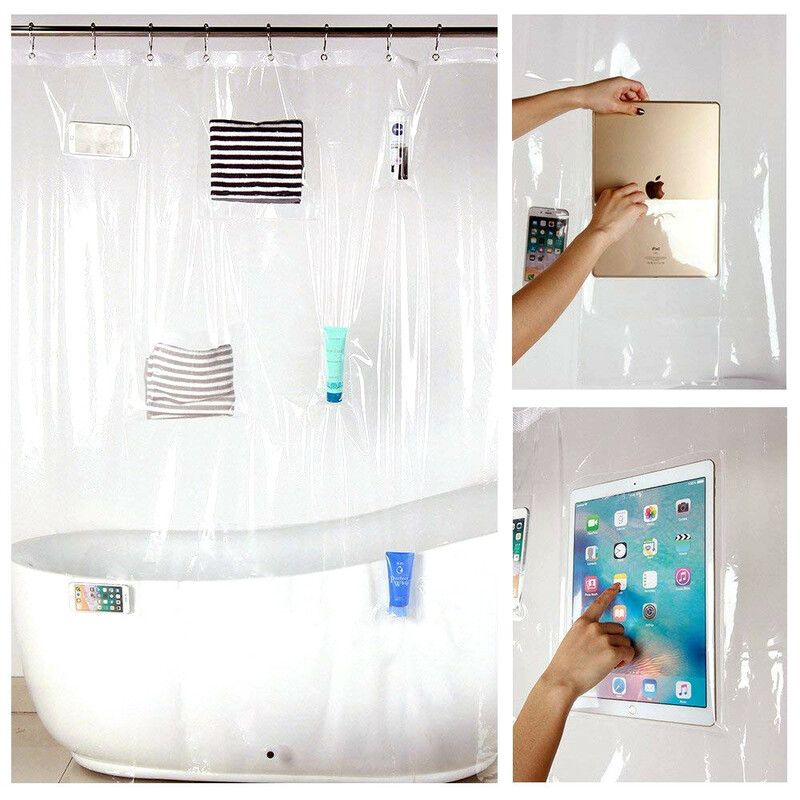 Fits smartphones and ipads at varying heights for use when bathing or showering. The great thing about this item is that not only can you see your device through it but you can actually press the touch screen itself all while the item is safely protected from water. 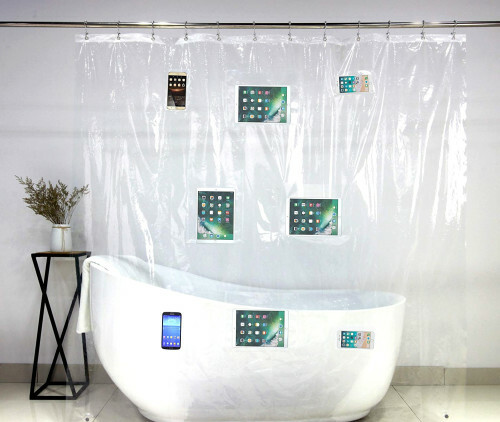 Aside from its obvious use it functions well enough as a shower curtain and is fairly high quality so you can use it more generally. The pockets can also be used to hold shampoo and other items, so its not just for electronics. The item functions as you would expect but it does kind of beg the question as to whether you need it or not. For some people its an obvious yes, but for others its probably rightly considered unnecessary. The price itself is a bit on the high side as well. Overall a nice product and definitely creative. It may be worth buying just for the value added by the pockets if you already have a shower curtain.